The basecoat reinforcement layer is applied to the insulation boards and consists of the EWI-225 Premium Adhesive. The reinforcement layer creates a smooth surface before applying the render. 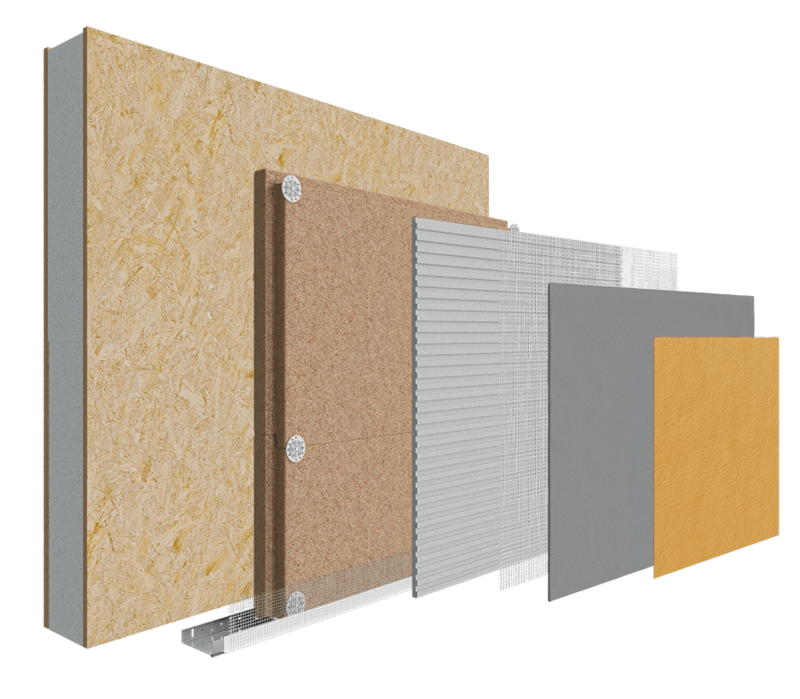 EWI Pro Wood Fibre insulation system is ideal for use on SIPS Panels as they offer unequaled breathability and vapour permeability. The result is excellent thermal performance due to the system’s seamless thermal envelope, and a decreased risk of water vapour build-up. The insulation boards are secured to the substrate using Metal Pin Mechanical Fixings and our Premium Basecoat, then finished off using a decorative and breathable thin coat render system.